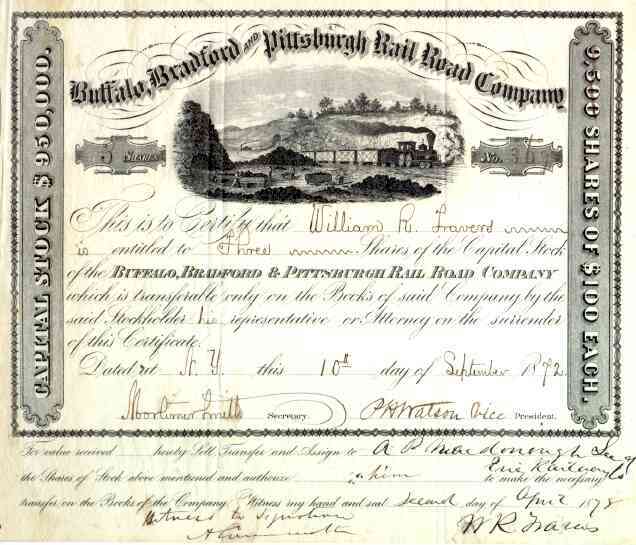 1873 Buffalo Bradford & Pittsburgh RR Stock Certificate. 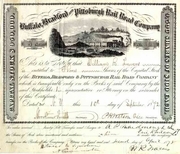 Scarce scripophily coal hauling railroad document with 31 miles of line on the western Pennsylvania and New York border. Chartered in 1859, it eventually was controlled by Erie RR. Vignette illustrates a coal train adjacent to a coal mine in side of hill. VF+ condition.